One of the biggest challenges to any business is how to establish a collaborative environment, especially when one team is an ocean away. 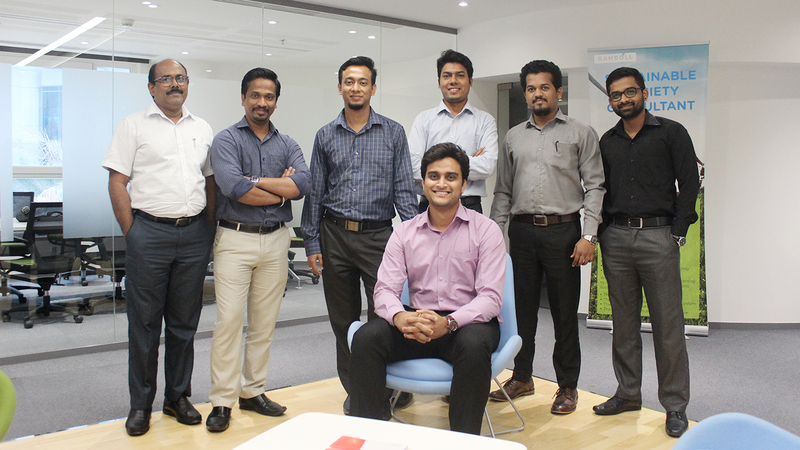 We found that at the heart of collaboration is true teamwork, and this was evident when seven of our engineers from Ramboll’s Mumbai office spent two months in Dubai working on large multi-disciplinary projects. Ramboll’s Middle East and Asia business is spread across the Middle East, India and Singapore where our experts come from a wide range of backgrounds and bring unique skills. We place great emphasis on collaboration and insight along with sharing and transferring knowledge, expertise and resources between our many offices. As part of our resource sharing, a team of engineers from Ramboll’s Mumbai office were seconded to the Middle East for a a period of two months to work on a wide range of buildings projects and to share their expertise. Collaboration and knowledge-sharing were the foundation for bridging the gaps between teams, and to be effective our engineers learned how each geography approaches their projects and that they all had something in common, a shared passion for innovation and continuous professional development. “We have a one-team approach across Buildings in the Middle East and Asia region where our experts can work on large, multi-disciplinary projects in other countries. Our blended approach provides teams from India, Singapore and the Middle East with an opportunity to be part of a large team, experience diverse cultures and working environments while working together to generate solutions and make better-informed decisions” Chris Jones, Regional Buildings Director Middle East and Asia. We asked our experts from Mumbai to share their experience of working in a foreign country as part of a multi-cultural team. At Ramboll we have more than 14,000 experts globally working in 300 offices across 35 countries. We combine local experience with global knowledge base constantly striving to achieve inspiring and exacting solutions that make a genuine difference to our clients, the end-users, and society at large.